The federal government hopes to reverse America's declining honeybee and monarch butterfly populations. It wants to make more federal land bee-friendly. And it wants to spend more money on research and consider the use of less pesticides. Bees are crucial to pollinate many crops. Scientists say bees have been hurt by a combination of declining nutrition, mites, disease and pesticides. The federal plan is an "all hands on deck" strategy. It calls on everyone from federal bureaucrats to citizens to do what they can to save bees. The insects provide more than $15 billion in value to the U.S. economy. That is according to White House science adviser John Holdren. "Pollinators are struggling," Holdren said in a blog post. He cited a new federal survey. It found beekeepers lost more than 40 percent of their colonies last year. They later recovered by dividing surviving hives. He also said the number of monarch butterflies that spend the winter in Mexico's forests is down by 90 percent or more. That is over the past two decades. The U.S. government is working with Mexico to expand monarch habitats in the southern part of that country. The plan calls for restoring 7 million acres of bee habitat. It would happen over the next five years. Numerous federal agencies will have to find ways to grow plants on federal lands that are more varied and better for bees to eat. Scientists have worried that large land tracts that grow only one crop have hurt bee nutrition. The plan is not just for the Department of Interior. It has vast areas of land under its control. Agencies that wouldn't normally be thought of, such as Housing and Urban Development and the Department of Transportation, will have to include bee-friendly landscaping on their properties and in grant-making. 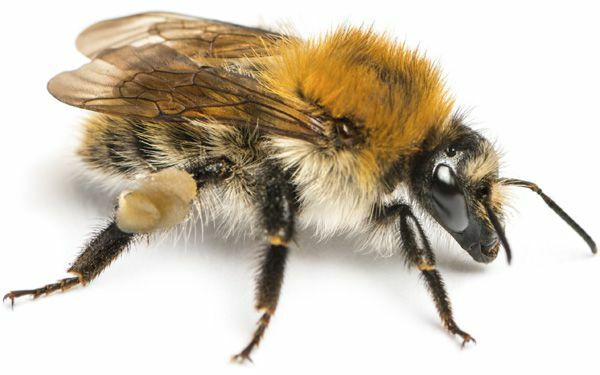 That part of the bee plan got praise from scientists who study bees. "Here, we can do a lot for bees. And other pollinators," said University of Maryland entomology professor Dennis vanEnglesdorp. He led the federal bee study that found last year's large loss. "This I think is something to get excited and hopeful about. There is really only one hope for bees and it's to make sure they spend a good part of the year in safe healthy environments. The apparent scarcity of these areas is what's worrying. This could change that." University of Montana bee expert Jerry Bromenshenk said the effort shows the federal government finally recognizes that land use is key with bees. "It's a wake-up call," Bromenshenk wrote in an email. "Pollinators need safe havens, with adequate quantities of high-quality resources for food and habitat, relatively free from toxic chemicals. And that includes pollutants as well as pesticides and other agricultural chemicals." 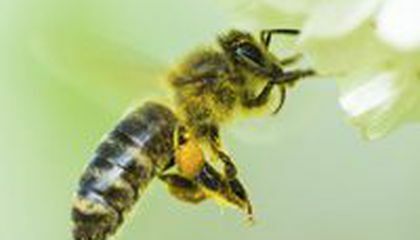 The administration proposes spending $82.5 million on honeybee research in the upcoming budget year. That is up $34 million from now. The Environmental Protection Agency will step up studies into the safety of widely used neonicotinoid pesticides. Those have been temporarily banned in Europe. It will not approve new types of uses of the pesticides until more study is done, if then, the report said. "They are not taking bold enough action. There's a recognition that there is a crisis," said Lori Ann Burd. She is environmental health director for the advocacy group Center for Biological Diversity. She said the bees cannot wait. She compared more studies on neonicotinoids to going to a second and third mechanic when you've been told the brakes are shot. The report talks of a fine line between the need for pesticides to help agriculture and the harm they can do to bees and other pollinators. Lessening "the effects of pesticides on bees is a priority for the federal government," the report said. Both bee pollination and insect control are essential to the success of agriculture," it said. Critical thinking challenge: How could federal departments such as the Department of Housing and Urban Development and the Department of Transportation have an impact on bees? Recently, the honeybee population has been declining rapidly. This is due mainly to disease and pesticides. The government is trying to restore 7 million acres of bee habitat. These small insects help provide the government with more that $16 million. The EPA will make safer pesticides and spend up to $82.5 million on research. I think it is amazing how vital honeybees are to the economy, and I agree with trying to restore the population. This article is about bees we are constantly thinking about what we can do to save the species of BS. Bees become more endangered every day because of multiple reasons that harm them. Honeybees and monarch butterfly populations have been struggling to be maintained in the United States. Federal associations are working to keep the species alive. Bees are very important in the environment and surprisingly, also the economy. Bees and butterflies have provided the United States economy with $15 billion. Researchers claim that pollinators such as honeybees need a safe haven to reproduce. The administration suggests using $82.5 million on honeybee research to improve the population. I don't like bees at all because they can sting but I know that they are extremely important to the environment so I hope that the new programs can successfully bring back the honeybees. The bee population has been going down a lot. Bees are important to the land because they pollinate flowers and make honey. I think that it is nice of the federal government to try and help save the bees. They will try to spend eighty two point five million dollars to try to save the bees and helping the colony. The bees provide more than fifteen billion dollars for the United States economy and are very important in nature. The federal government has finally begun to see the threat of the decline in bee populations. They are working to bring back not only the bee populations but also the monarch butterfly populations which are also heading at a downward slope.The goal is to convert more federal land into a safe area for the bee and butterfly populations to grow. Also the government wants to look into the use of less pesticides and spend more money on research for the insects. Everyone is concerned about the bee's decline in population because they are crucial in pollinating crops and could majorly effect the economy of the United States.The reason bee populations are down is the declining of nutrition for the bees, mites, disease and pesticides. The United States government is asking everyone to help bring back the plentiful number of bees.The reason the decline in bees is such a crisis is because they provide fifteen billion dollars in value to the United States economy says John Holdren, the White House science advisor. I think that it is very responsible of the government to be looking forward at the types of effects the declining bee populations may have on the United States economy. I support all of the movement to bring back the bees, and think the government is on the right corse of action. The beez can't help us that much because they just eat the nector and don't give us oxygen I don't know how they can save us . I think that people need to stop calling exterminators on the bees, people need to start calling bee relocate numbers instead. Instead of just killing them all they get moved for a safer location and for them to do their jobs properly.